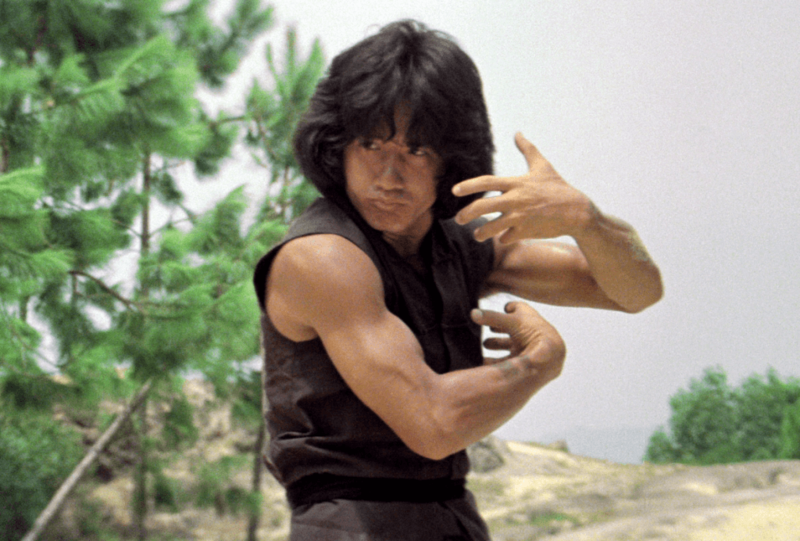 Jackie Chan’s early mega-hit Drunken Master has had a number of releases on DVD and Blu ray over the years and a lot of them have been problematic in many ways. 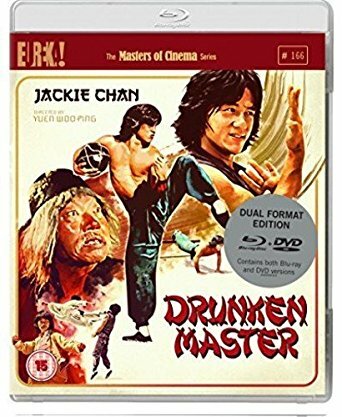 The great news is that this new release from Eureka in the UK on the Masters of Cinema label is from a new 4K scan and it also has the full Cantonese soundtrack, something missing from most releases in the past. Jackie Plays Wong Fei Hung in this classic tale who is punished for his frequent troublemaking and is forced to study under the martial arts master Su Hua Chi (Yuen Siu-Tien), notorious for his drinking as much as he is for leaving his students crippled. Wong proves himself an adept pupil, but his new skills are soon put to the test when his own father is targeted by a brutal assassin played by super kicker Hwang Jang Lee. 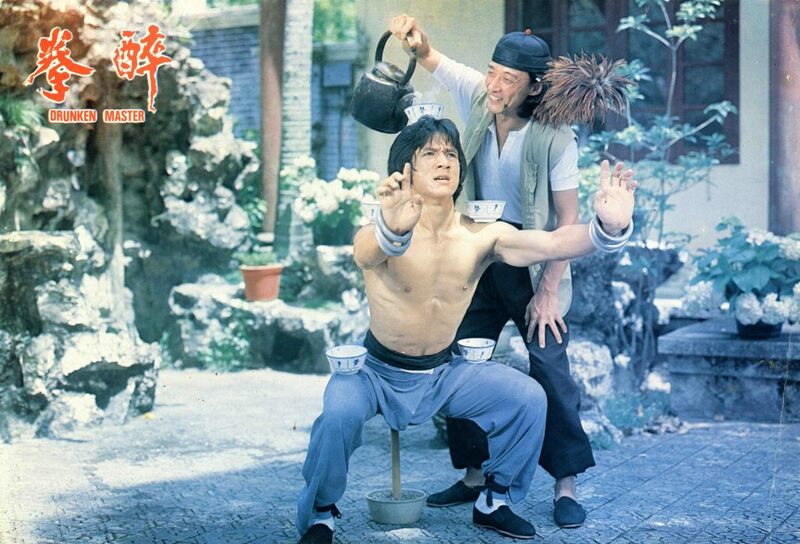 Breaking box office records in Hong Kong on its release in 1978 the film has stood the test of time very well with a great combination of Kung Fu action and comedy. This was Yuen Woo Ping’s first film as a director and this film set a trend in Hong Kong for Kung Fu comedy which lasted for many years. This new dual format release from Eureka has a stunning new HD transfer, with fabulous colours and a nice level of film grain, certainly the best it has ever looked on any home format. The audio as mentioned does finally have the full Cantonese soundtrack and you also get a Mandarin and English dubbed version, but sadly not the much-loved original English dub as they could not find the rights holders in time. Subtitles are clear and accurate and as a nice bonus feature, you also have a choice of the original English /Chinese theatrical subtitles, with all the spelling mistakes etc. A nice fun touch. Other extras include an audio commentary done a few years ago by Ric Meyers and Jeff Yang. The bad thing is it is full of errors, many obvious mistakes and I would not recommend you bother listening to it. Shame they could not have commissioned a different commentary with someone who has a bit more knowledge on the subject. There is a great recent interview with Jackie Chan done a few years ago in Japan, where he goes into great detail about the film and the making of it. Another interview is with the director of The Raid films Gareth Evans who talks about the influence Jackie Chan has had on his career. The interview with Tony Rayns is a mixed bag as he goes to great length to summarise the history of the Kung Fu movie, Jackie Chan and the influence the film has had. He seems a little condescending at times and not exactly praiseworthy of the director. He obviously knows his stuff but seems to a bit too highbrow for this release. Included is the original English trailer, with ironically the original English dub as well as an older interview with producer Ng See Yuen. The kicking showcase is just a clip from the end fight of Hells Windstaff and the deleted scene is the one seen in other releases but is welcome here also. Finally, a nice booklet featuring a new essay by Michael Brooke and archival imagery. Overall a fantastic release, giving the film the re-master and treatment it deserves and great cover art as well!. Let’s hope Eureka release some other kung fu classics in the future. (It has been reported that this disc is region free but I did not have time to check that myself.). Update: The disc is confirmed as REGION FREE.